Realistic plastic produce. 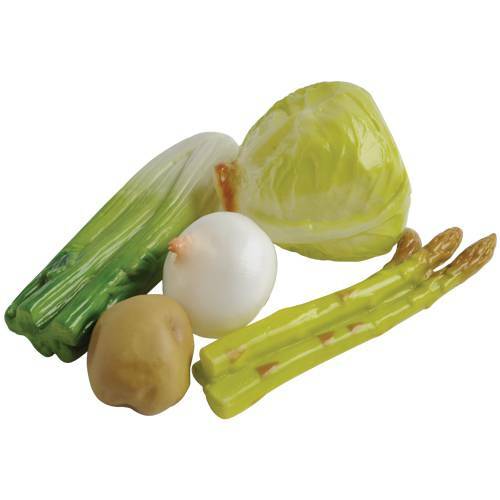 Set includes an onion, potato, cabbage, celery and asparagus (8" L.). Comes in a reusable plastic bag. Set of 5. Ages 2 yrs. +.